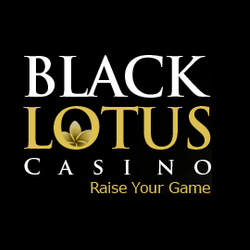 Black Lotus Casino offers its players a number of excellent bonus and free spins offers every day until 17th April. Check out the Resist and Escape promotion, and the Rock Your World promotion for great special offers. As Black Lotus Casino notes, “Crime reely does pay.” Enjoy the special offers on the Captain Shockwave slot game, and the Code-211 slot. There are three different offers, each with its own coupon code. Use them every day or as many days as you wish during the promotional period. Captain Shockwave Free Spins – Make a deposit of $30 for free spins on the Captain Shockwave slot. Redeem 55 free spins with the coupon code RUN55. Match Deposit Bonus – Next up is a match deposit bonus offer with a 100% match bonus up to $120. Redeem this great match bonus offer with a deposit of $50 or more, and use the redeem coupon code 120WAYS. Code-211 Free Spins – Get a whopping 85 free spins when you deposit $60 at Black Lotus Casino. Play the free spins on the Code-211 slot game. Redeem your spins with the HIDE85 coupon code. In case Resist and Escape special offers did not give you enough, get down with the Rock Your World promo. The shiny gems in this promotion are sure to grab your attention. Each of the offers is valid once each day until 17th April 2019. Match Deposit Bonus – Start off with a 99% match deposit bonus offer up to a possible $200. Redeem this match bonus with the bonus code SHINEON, and a $27 deposit. Gems n Jewels Free Spins – Get your shimmer on with 70 free spins on the Gems n Jewels slot game. Redeem this offer with the coupon code SHIMMERON, and a deposit of just $35. More Gems n Jewels Free Spins – The next special offer helps you get your sparkle on. This time, there are 90 free spins up for grabs on the Gems n Jewels slot game. Redeem this offer with the coupon code SPARKLEON and a deposit of $60. While you take advantage of the above offers, remember that Easter promos are here. Check out the Eggstravaganza offers, and Bunny’s Bonus Bonanza at Black Lotus Casino. Last updated by Shannon on April 16, 2019 .